What's better than a Chocolate Covered Oreo? A Chocolate Covered Oreo with a Kiss! 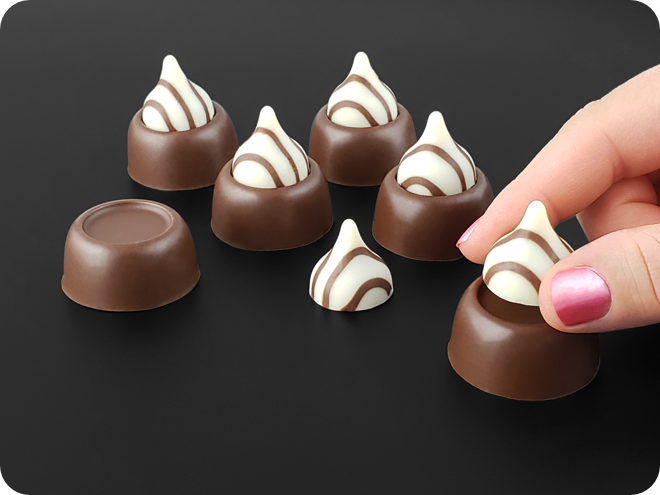 In this tutorial you will learn how to make Chocolate Covered MIni Oreo Kisses, using the SpinningLeaf Candy Drop Mini Oreo Chocolate Mold. These Chocolate Covered Mini Oreo Kisses are super fast, easy, and fun to make. They're sure to be a party favorite! Please note: For best results, do not overheat the chocolate, and avoid introducing moisture. Fill the chocolate into the mold cavities, approximately 1/3 full. 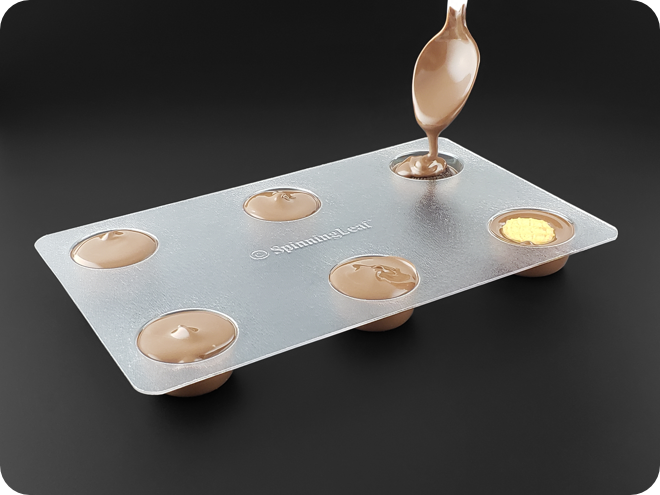 Tap the mold onto the table to settle the chocolate, and remove any trapped air. Press the Mini Oreo cookie into the chocolate, and center it in the mold cavity. 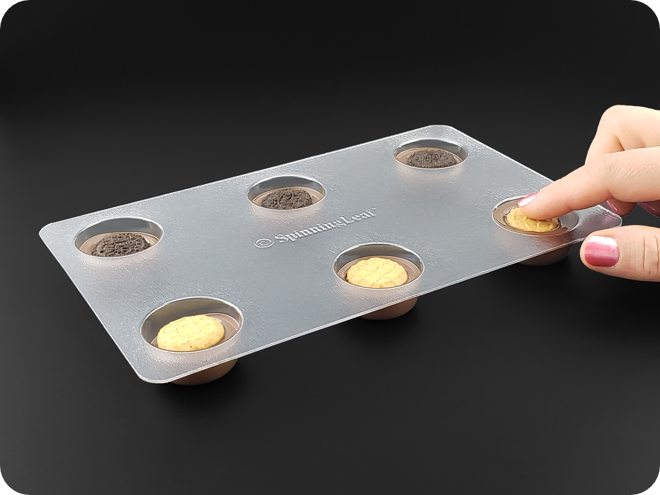 As you press the Mini Oreo cookie into the mold cavity, the chocolate will rise up around the sides, embedding the cookie, and leaving only the top uncovered. 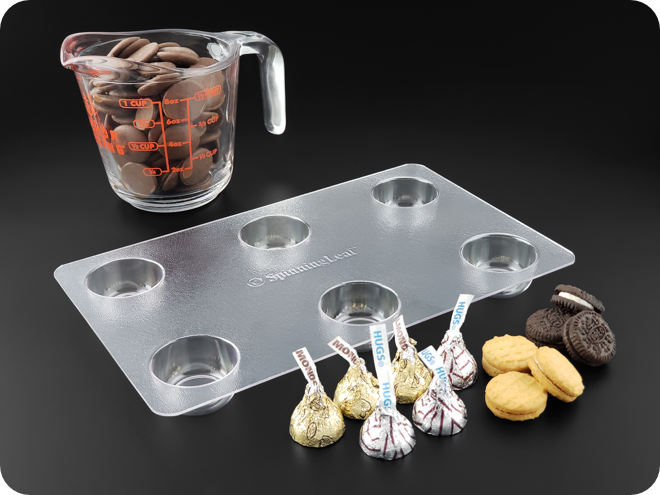 Pour the chocolate over the embedded mini Oreo cookie, completely filling the mold, and covering the cookie. 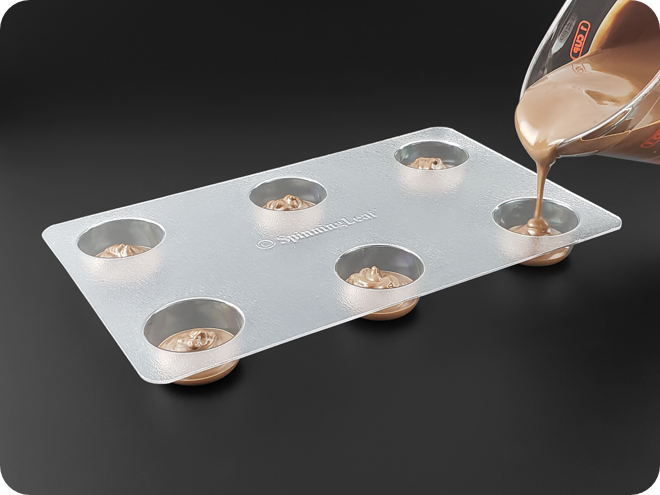 Gently tap the mold onto the table to settle the chocolate, and remove any trapped air. Tip: Use the tines of a fork to re-center the cookie in the mold cavity if it has shifted. Tip: If necessary, level the chocolate by scraping away the excess with a silicone spatula. After the chocolate has hardened, chill the mold in the refrigerator for approximately 10 minutes. Turn the mold upside down and press on the back of the cavity to release the mini chocolate covered Oreos. 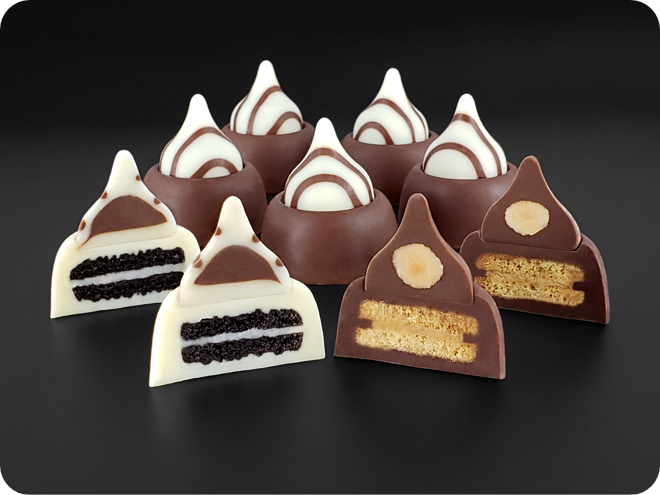 Cap the mini chocolate covered Oreo's with Hershey's Kisses using a drop of melted chocolate. This completes the Mini Chocolate Covered Oreo Kisses Tutorial. Thank you for your interest!